C. H. F. Peters discovered asteroids #122 Gerda and #123 Brunhild. Gerhard Zucker's mail rocket explosion at Harris led to his deportation back to Germany when the British found him to be a "threat to the income of the post office and the security of the country." Gerhard Zucker announced a demonstration firing of his rocket over 1600 m of water between the town of Harris and the Isle of Scarp. Government officials watched as the rocket exploded on 31 July 1934, blowing the burning payload of (fraudulent) postal covers all over the beach. The British found Zucker to be a 'threat to the income of the post office and the security of the country.' He was deported to Germany, where he was immediately arrested by the Germans on suspicion of espionage or collaboration with Britain. C. Jackson discovered asteroids #1362 Griqua and #2865. Robert Goddard launched a series L section A rocket that achieved an altitude of 200 feet above the 80 foot launch tower in a flight that lasted 5 seconds. The rocket landed 300 feet from the tower. 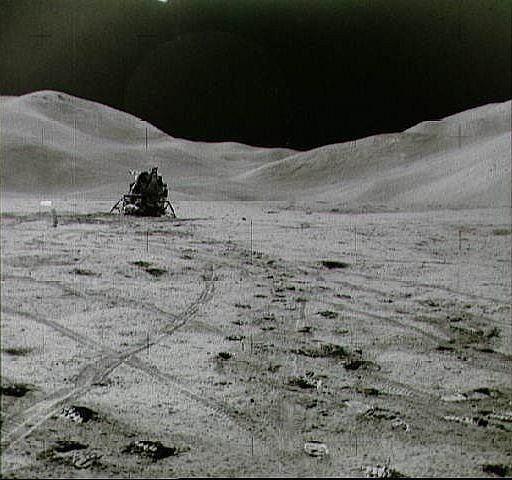 NASA's Ranger 7 impacted the Lunar surface, having returned the first close-up pictures of the Moon during the final 17 minutes of its flight. The last frame was cut off when the spacecraft impacted the surface before completing its transmission. NASA's Mariner 6 passed Mars at a distance of 3431 km from the surface. Mariner 6 was launched 24 February 1969 as part of the Mariner 6 and 7 dual spacecraft mission to Mars, the sixth and seventh missions in the Mariner series of spacecraft used for planetary exploration in the flyby mode. The primary objectives of the missions were to study the surface and atmosphere of Mars during close flybys to establish the basis for future investigations, particularly those relevant to the search for extraterrestrial life, and to demonstrate and develop technologies required for future Mars missions and other long-duration missions far from the Sun. Mariner 6 also had the objective of providing experience and data which would be useful in programming the Mariner 7 encounter 5 days later. Each spacecraft carried a wide- and narrow-angle television camera, an infrared spectroscope, an infrared radiometer, and an ultraviolet spectroscope. The spacecraft were oriented entirely to planetary data acquisition, and no data were obtained during the trip to Mars or beyond Mars. On 29 July, 50 hours before closest approach, the scan platform was pointed to Mars and the scientific instruments turned on. 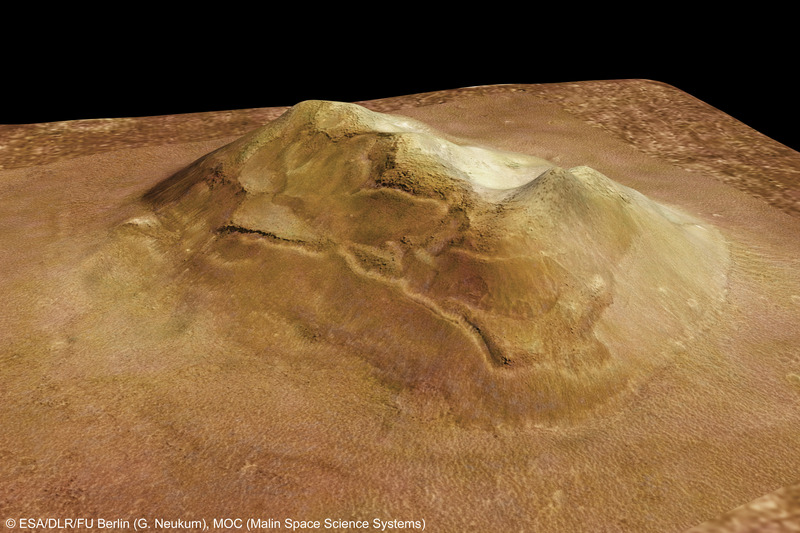 Imaging of Mars began 2 hours later. For the next 41 hours, 49 approach images (plus a 50th fractional image) of Mars were taken through the narrow-angle camera. At 05:03 UT on 31 July the near-encounter phase began, including collection of 26 close-up images. Due to a cooling system failure, channel 1 of the IR spectrometer did not cool sufficiently to allow measurements from 6 to 14 micrometers so no infrared data were obtained over this range. Closest approach occurred at 05:19:07 UT at a distance of 3431 km from the Martian surface. Eleven minutes later Mariner 6 passed behind Mars and reappeared after 25 minutes. X-band occultation data were taken during the entrance and exit phases. Science and imaging data were played back and transmitted over the next few days. The spacecraft was then returned to cruise mode which included engineering and communications tests, star photography TV tests, and UV scans of the Milky Way and an area containing comet 1969-B. Periodic tracking of the spacecraft in its heliocentric orbit was also done. Mariner 6 returned 49 far encounter and 26 near encounter images of Mars. Close-ups from the near encounter phases covered 20% of the surface between the two spacecraft. The spacecraft instruments measured UV and IR emissions and radio refractivity of the Martian atmosphere. Images showed the surface of Mars to be very different from that of the Moon, in some contrast to the results from Mariner 4. The south polar cap was identified as being composed predominantly of carbon dioxide. Atmospheric surface pressure was estimated at between 6 and 7 mb. Radio science refined estimates of the mass, radius and shape of Mars. As a historical note, 10 days before the scheduled launch of Mariner 6 while it was mounted on top of the Atlas/Centaur booster, a faulty switch opened the main valves on the Atlas stage. This released the pressure which supported the Atlas structure, and as the booster deflated it began to crumple. Two ground crewman started pressurizing pumps, saving the structure from further collapse. The Mariner 6 spacecraft was removed, put on another Atlas/Centaur, and launched on schedule. The two ground crewman, who had acted at risk of the 12-story rocket collapsing on them, were awarded Exceptional Bravery Medals from NASA. NASA Apollo 15 astronauts Scott and Irwin began the first of their three moonwalks, including the first use of the Lunar Rover Vehicle (LRV): Dave Scott became the first to drive a "car" on the Moon. NASA released the famous Face on Mars photo, taken by Viking 1. A 2 km (1.2 miles) long mesa in the Cydonia region of Mars, seen in one of the images taken by Viking 1 on 25 July 1976, situated at 40.75 degrees north latitude and 9.46 degrees west longitude, had the appearance of a humanoid face. When the image was originally acquired, Viking chief scientist Gerry Soffen dismissed the "Face on Mars" in image 035A72 as a "trick of light and shadow." However, a second image, 070A13, also shows the "face", and was acquired 35 Viking orbits later at a different sun-angle from the 035A72 image. This latter discovery was made independently by Vincent DiPietro and Gregory Molenaar, two computer engineers at NASA's Goddard Space Flight Center. DiPietro and Molenaar discovered the two misfiled images, Viking frames 035A72 and 070A13, while searching through NASA archives. In a press release issued on 31 July 1976, NASA provided a caption for the picture stating "The picture shows eroded mesa-like landforms. The huge rock formation in the center, which resembles a human head, is formed by shadows giving the illusion of eyes, nose and mouth. ..."
Since it was originally first imaged, the "face" has been near-universally accepted as an optical illusion. After analysis of the higher resolution Mars Global Surveyor data NASA stated that "a detailed analysis of multiple images of this feature reveals a natural looking Martian hill whose illusory face-like appearance depends on the viewing angle and angle of illumination." On 8 April 2001 the Mars Global Surveyor was rolled 24.8 degrees to the left so that it was looking at the "face" 165 km to the side from a distance of about 450 km. The resulting image has a resolution of about 2 meters (6.6 feet) per pixel. It can be found on www.msss.com sized at 2400 x 2400 pixels. The site also has other images and discussion. An image of a three dimensional model of the "Face" constructed from data collected by the Mars Global Surveyor and Mars Express satellites can be found on APoD (3721 x 2480 pixels). In 1958, almost two decades prior to the first images of the Face from the Viking probes, the comic book artist Jack Kirby wrote a story entitled "The Face on Mars" for Harvey Comics (Race for the Moon Number 2, September 1958), in which a large face served as a monument to an extinct humanoid race from Mars. N. Chernykh discovered asteroids #2402 Satpaev and #2416 Sharonov. USSR launched Molniya 1-44 from Plesetsk for operation of the long range telephone and telegraph radio communications system in the USSR, and for transmission of television programs to stations in the Orbita network. USSR Soyuz 36 landed with the crew of Gorbatko and Tuan aboard, returning from the Salyut 6 space station. NASA launched STS 46 (Atlantis 12, 49th Shuttle mission) to carry the TSS-1 Tethered Satellite System to space, and to deploy EURECA, the European Retrievable Carrier. STS 46 was launched 31 July 1992, its liftoff delayed 48 seconds at T-5 minutes to allow the orbiter computers to verify the orbiter auxiliary power units were ready to start. The primary objectives of STS 46 were deployment of the European Space Agency's European Retrievable Carrier (EURECA), and operation of the joint NASA/Italian Space Agency Tethered Satellite System (TSS). The mission was extended one day to complete the science objectives. EURECA was deployed one day later than scheduled because of a problem with its data handling system. After deployment, the spacecraft's thrusters were fired to boost EURECA to its planned operating altitude of about 310 statute miles (499 kilometers). However, thruster firing was initially cut to six minutes instead of the planned 24 minutes because of unexpected attitude data from EURECA. The problem was resolved, and EURECA was boosted to its operational orbit on the sixth day of the mission. The EURECA payload would later be retrieved by STS 57 in 1993. The TSS deployment was also delayed one day because of EURECA. During TSS deployment, the satellite reached a maximum distance of only 840 feet (256 meters) from the orbiter instead of the planned 12.5 miles (20 kilometers) because of a jammed tether line. After numerous attempts over several days to free the tether, TSS operations were curtailed, and the satellite was stowed for return to Earth. Secondary payloads were: Evaluation of Oxygen Integration with Materials/Thermal Management Processes (EOIM-III/TEMP 2A-3); Consortium for Materials Development in Space Complex Autonomous Payload (CONCAP II and CONCAP III); IMAX Cargo Bay Camera (ICBC); Limited Duration Space Environment Candidate Materials Exposure (LDCE); Air Force Maui Optical Site (AMOS); Pituitary Growth Hormone Cell Function (PHCF); and Ultraviolet Plume Instrument (UVPI). STS 46 ended 8 August 1992 when Atlantis landed on revolution 127 on Runway 33, Kennedy Space Center, Florida. Rollout distance: 10,860 feet (3,310 meters). Rollout time: 66 seconds. Launch weight: 256,031 pounds. Landing weight: 208,806 pounds. Orbit altitude: 230 nautical miles. Orbit inclination: 28.45 degrees. Mission duration: seven days, 23 hours, 15 minutes, three seconds. Miles traveled: 3.3 million. STS 46 was the last flight of OV-104 before its scheduled checkout and modification period, which was later extended to include modifications for docking with the Russian Mir space station; OV-104 was shipped to the Rockwell plant in California in October. McDonnell-Douglas launched the last DC-XA mission from White Sands, New Mexico, which reached altitude of 1.250 km during the 140 second flight. Landing strut 2 failed to extend, the vehicle tipped over, the LOX tank burned and the vehicle was destroyed. Russia launched Progress M-32, an unmanned resupply vessel, from Baikonur to the Mir space station, the first successful launch of a Soyuz-U rocket after two failures. Russia launched Progress M-32, an unmanned resupply vessel, to the Mir space station on 31 July 1996. It was the first successful launch of a Soyuz-U booster after two successive failures. Progress M-32 docked with Mir at the forward docking port on 2 Aug 1996 22:03:40 GMT, undocked on 18 Aug 1996 09:33:45 GMT in order to free up the docking port. By 29 August 1994 Mir was in a 375 x 390 km x 51.6 deg orbit, while the Progress M-32 cargo ship was flying separately in a 375 x 392 km x 51.6 deg orbit. Progress M-32 redocked with Mir on 3 Sep 1996 09:35:00 GMT at the rear port of the Kvant module, and finally undocked from Mir on 20 Nov 1996 19:51:20 GMT. It was destroyed in reentry on 20 Nov 1996 22:42:25 GMT. Total free-flight time 2.20 days. Total docked time 93.91 days. NASA impacted the Lunar Prospector Orbiter on the Moon in an attempt to raise a dust plume. The Lunar Prospector, launched 7 January 1998, was designed for a low polar orbit investigation of the Moon, including mapping of surface composition and possible deposits of polar ice, measurements of magnetic and gravity fields, and study of Lunar outgassing events. Data from the 19 month mission allowed construction of a detailed map of the surface composition of the Moon, and improved the understanding of the origin, evolution, current state, and resources of the Moon. The spacecraft carried 6 experiments: a Gamma Ray Spectrometer (GRS), a Neutron Spectrometer (NS), a Magnetometer (MAG), an Electron Reflectometer (ER), an Alpha Particle Spectrometer (APS), and a Doppler Gravity Experiment (DGE). The instruments are omnidirectional and require no sequencing. The normal observation sequence was to record and downlink data continuously. The mission ended on 31 July 1999 at 9:52:02 UT (5:52:02 EDT) when Lunar Prospector was deliberately targeted to impact in a permanently shadowed area of a crater near the Lunar south pole. It was hoped that the impact would liberate water vapor from the suspected ice deposits in the crater and that the plume would be detectable from Earth, however, no plume was observed. Russia launched the Koronas-F solar observatory from Plesetsk. Coronas-F (Koronas-F, AUS-SM-KF) was a Russian solar observatory launched on a Tsiklon 3 rocket from Plesetsk 31 July 2001. The sun-synchronous orbit had a period of 94.7 minutes, apogee 540 km, perigee 499 km, and inclination 82.5 degrees. The 2260 kg (fueled mass) spacecraft was to be pointing toward Sun within 10 arc-minutes to conduct a variety of observations: it carried X-ray monitors to locate sources within 1 arc-sec, radio receivers to measure flux and polarization, and particle counters. * The DIFOS instrument was to monitor fluctuations in light intensity in six optical bands (350, 500, 650, 850, 1,100, and 1,500 nanometer) at a precision of one part in a million, to reveal a spectrum of normal mode seismic oscillations in the Sun. * The SORS instrument was to monitor solar radio bursts of II, III, and IV types, in the range 0.1-30 MHz, with 0.5 microvolt sensitivity and through 400 frequency channels, with a full spectrum enabled in three seconds. * The ZENIT instrument was a coronograph to monitor the corona out to six solar radii in the 750-850 nm band, at a resolution of 1 arc-min. A full scan was done in less than a minute. * The SUFR instrument was a UV radiometer in the 0.1-130 nm band to capture the full disk emission from the Sun, in the dynamic range 0.1-30 erg/sq-cm/sec. * The VUSS instrument was designed to monitor the intensity of full-disk, 121.6 nm Lyman-Alpha line in a band of 5 nm width, with a dynamic range of 0.1-30 erg/sq-cm/sec. * The DIAGENESS instrument was to scan the Sun's active regions and flares at five arc-sec resolution in the bands 29.601-33.915, 49.807-53.721, 61.126-67.335 nm at a temporal resolution of 0.1-10 seconds. It was also to monitor the full disk X-ray emissions in the bands 2-8 keV, and 10-160 keV at a temporal resolution of about one second. * The RESIK instrument was a bent crystal X-ray spectrometer to monitor the bands 11.23-12.93, 12.74-14.42, 14.36-16.30, 16.53-20.29, 21.54- 24.45, 24.80-30.43, 33.69-38.79, 38.21-43.26, and 49.60-60.86 nm. The first seven bands pertain, respectively, to emissions from Ar, Mg, Si, S, Ca, Fe, K, Ni, and the last was a continuum. * The IRIS experiment aimed to monitor hard X-ray flares in the 2.0-200 keV energy range at temporal resolution of 0.01-2.5 seconds, with a sensitivity of 10 nanoergs/sq-cm/sec. The sensitivity in the 2-15 keV was high enough to capture microflares and precursors in a number of small width channels. * The HELIKON instrument was to capture high energy X-rays and Gamma rays in the range 10 keV-8 MeV. It carried two detectors, one pointing to the Sun and the other in the anti-solar direction to monitor the energy range in 128 channels, and with 4,096 channels to cover the lower range of 10 keV-1.0 MeV. * The SKL instrument had three components. The SONG was to measure solar Gamma rays in the 0.03-100 MeV band through a total of 250 channels, the neutrons in the range 3.0-100 MeV through five channels, and electrons in the 11-108 MeV range through six channels. The second component, MKL was to capture protons in the range 1-300 MeV, electrons in the 0.5-12 MeV, protons at >10 MeV, and electrons at >1.3 MeV. The third component, SKI-3 was to ascertain the chemical composition in the Z=1-10 group in the 1.5-20 MeV ions. It had a channel for 1.5-19 MeV protons. * The RES-K instrument was a X-ray spectroheliograph to provide high-resolution images of the solar disk using the emission lines of FeXXIV and FeXXV in the 18.5 -18.7 nm, and the MgXII line in the 84.1-84.3 nm range. Images in the emission lines covering 1800-2050 nm and 2850-3350 nm were to also be obtained by scanning the range in widths of 0.3 nm. The images were to be at a spatial resolution of six arc-sec. Each full-disk image was to be produced in about six seconds. * The RPS instrument was an X-ray spectrometer covering the 3-30 keV band in steps of 1.5 keV. The range includes the Fe55 line at 5.9 keV. The detector width was 0.5 sq-cm. * The SPR-N instrument was a X-ray polarimeter to measure nonthermal/synchrotron emissions in solar flares in the energy ranges 20-40, 40-60, and 60-100 keV range at a sensitivity of one microerg/sq-cm/sec. More details may be obtained from izmiran.rssi.ru.